Stephanie Carroll Rainie (Ahtna Athabascan) is Assistant Professor – Public Health, Udall Center for Studies in Public Policy (UC); Associate Director and Manager – Tribal Health Program for the Native Nations Institute (NNI) in the UC; Assistant Professor in the Public Health Policy and Management Program at the Community, Environment and Policy Department, Mel and Enid Zuckerman College of Public Health (MEZCOPH); and Assistant Director for the Center for Indigenous Environmental Health Research, MEZCOH at the University of Arizona (UA). Stephanie's research explores the links between governance, health care, the environment, and community wellness. She collaborates with a community of tribal leaders and program staff, researchers, and students at the UA's NNI and CIEHR, and elsewhere. Stephanie mentors numerous staff and students in responsible research practices, research administration, and leadership, among other topics. 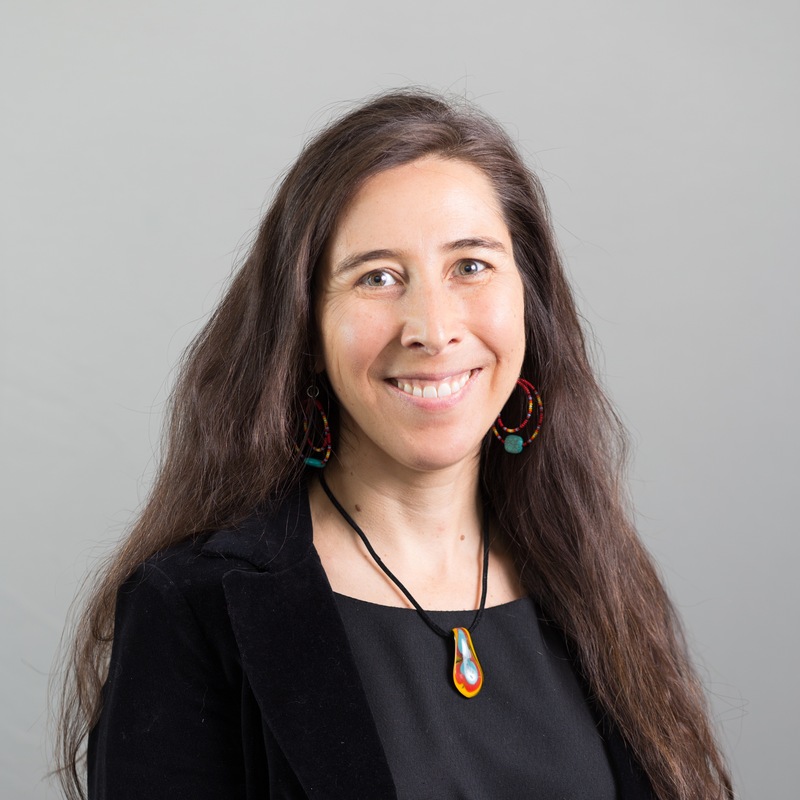 She also functions as the UC's liaison to the University's Human Subjects Protection Program, monitoring implementation of the guidelines in UC research projects and participating in broader UA discussions of ethical collaborations with Indigenous peoples and communities. Stephanie co-founded the US Indigenous Data Sovereignty Network and is a founding member of the International Indigenous Sovereignty Network. Stephanie was also a founding member of the UAs American Indian and Indigenous Health Alliance Club at MEZCOPH, working to support the recruitment and retention of Indigenous students and faculty at the UA. She is on the faculty advisory board for the UA’s Center for Digital Society and Data Studies. Stephanie received her AB from Cornell University and MPH and DrPH from MEZCOPH. Healthy Indigenous communities are built and rebuilt every day, though the actions of both citizens and leaders. We are healthy when our households, workplaces, and institutions are positive places, and when our cultures, languages, and lands are thriving. Rainie's research comes in many forms, from case studies of successful strategies to translation of large datasets into common language to reframing discussions of Indigenous governance and health. Yet the ultimate goal remains the same: enhancing connections - between people and their communities, governments, and others - to improve community and individual health and wellness. Rainie, S.C., Desi Rodriguez-Lonebear, and Andrew Martinez. 2017. Policy Brief: Data Governance for Native Nation Rebuilding. (Version 2). Tucson: Native Nations Institute. Schultz, J.L., and S.C. Rainie. 2014. The Strategic Power of Data: A Key Aspect of Sovereignty. The International Indigenous Policy Journal, 5(4). Schultz, J.L., and S.C. Rainie. 2014. Good Data Leads to Good Sovereignty. Indian Country Today. (June 3). Arsenault, J., and S.C. Rainie. 2009. Tribal management key to improved health services<. Indian Country Today (July 18). Arsenault, J., S. Cornell, and S.C. Rainie. 2008. Improving Health Care Access in Native American Communities: What Can Tribes Do? Executive summary of a report to the Nathan Cummings Foundation. Tucson: Native Nations Institute. Rainie, S.C., J. Timeche, K. Dickman, and R. Merideth, eds. 2003. Native Nations, the Environment, and the State of California: Tribal-State Relationships and Environmental Quality. Workshop proceedings. Tucson: Udall Center for Studies in Public Policy. Rainie, S.C., ed. 2003. Building Native Nations: Environment, Natural Resources, and Governance. Conference proceedings. Tucson: Udall Center for Studies in Public Policy and Morris K. Udall and Stewart L. Udall Foundation. Merideth, R., and S.C. Rainie, eds. 2002. Native American Health and Welfare Policy in and Age of New Federalism. Conference proceedings. Tucson: Udall Center for Studies in Public Policy.